Watch two back to back seasons of the ‘Worst Cooks in America’! NDTV Good Times announces the launch of Season 3 and 4 of ‘Worst Cooks in America’, a reality culinary competition show. The show takes 16 recruits with very poor cooking skills through a culinary boot camp, to earn a cash prize of $25,000. The recruits are trained in basic cooking techniques that include baking, grilling, knife skills, flavours and prep. The final challenge is to cook a restaurant quality three-course meal for three food criticsand the hosts of the show who are themselves well known chefs. 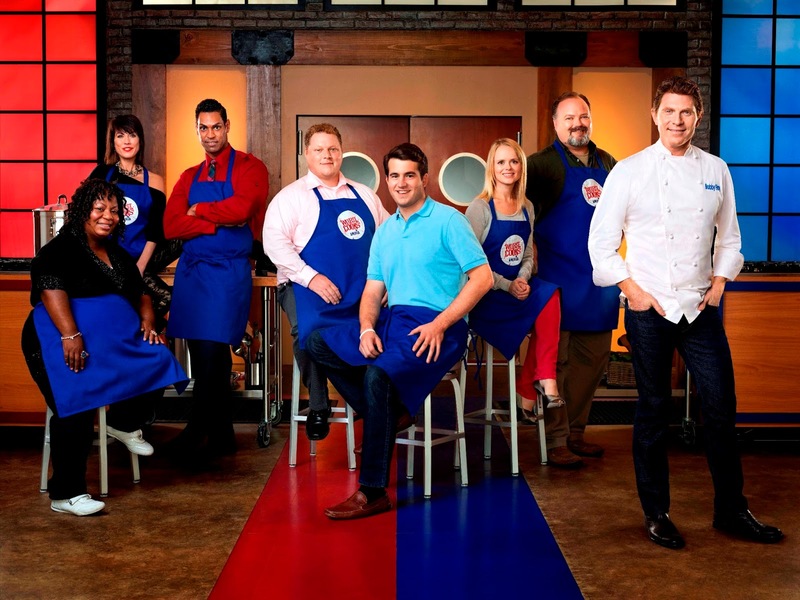 The show is hosted by Anne Burrel and Bobby Flay and each train and mentor an 8 member team. The 16 recruits are exposed to different cuisines and different styles of cooking from around the world. Through the boot camp, each team attempts to recreate their chef’s creations; andfollow their lead. And through this they learn knife skills, cooking styles, presentation and increase their overall culinary know how. The boot camp is no cake walk – neither for the Trainees nor the Mentors. With teams that consist of people who cannot boil an egg without making a mess and don’t really understand the mixing of flavours, disasters in the kitchen are never far behind. The Worst cooks of America are a breed that lives very dangerously and their mentors definitely live on the wild side too! Through the series, we see a bunch of people who cut their fingers, burn their hands, lose the recipes, and cry like babies over disastrous dishes. But, we also see a bunch of people with a never say die attitude, who rise to the task when surprises are thrown at them. Going to great lengths to not let down their mentors. And that is the X factor of the show. Through the series tasks are set, skills are tested and contestants are eliminated until 1 survivor remains from each team to compete in the finals. The winner takes home $25,000 and a whole kitchen set. This series is about two trained Chefs turning culinary novices from cooking disasters to kitchen masters!